We were at the Detroit Historical Museum. 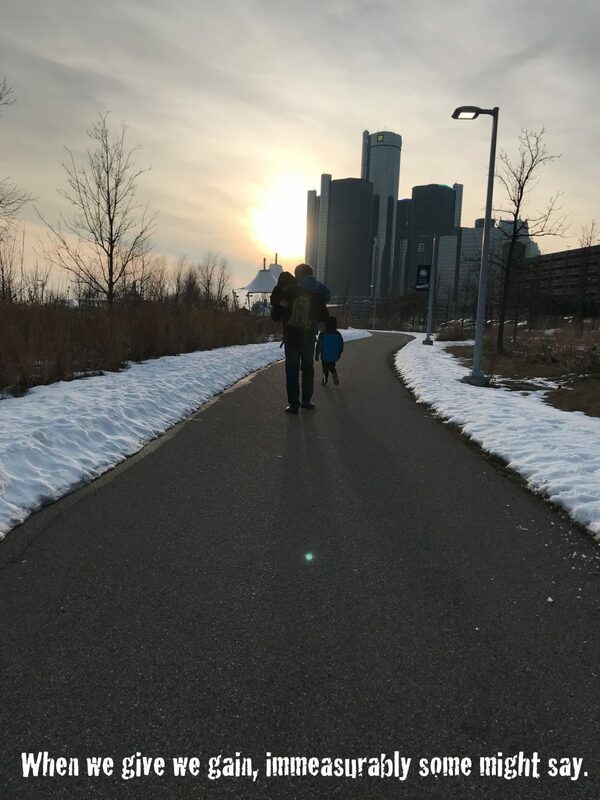 It’s nestled between the DIA, the Michigan Science Center, the Charles H. Wright Museum of African American History, and the Detroit Public Library. Given its proximity to these gems we often skip it in favor of some combination of the others when we’re in Midtown (who am I kidding, the Science Center is our haunt 99% of the time at this stage of the game:). 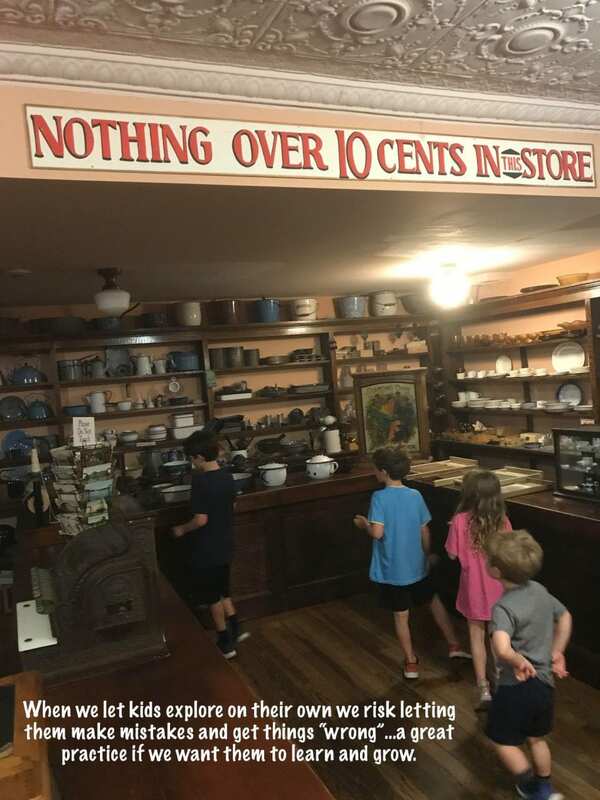 Every time we do end up at the Historical Museum I remember why skipping it is a mistake. It was me and the four (two bigs and two littles). If you haven’t been I highly recommend it. If you have, I highly recommend a return trip. So engaging, so relevant to young Michiganders, so much fun for all! From the massive train set in the “Streets of Detroit” exhibit on the lower level to the life size assembly line display and the Kid Rock History of Music in Detroit showcase on level one, the kids loved it all! If your kids are ready for the content and you’re ready for processing with them, there’s also an moving and meaningful Underground Railroad exhibit on the top floor. Be ready for a deep, reflective, and emotional experience. My little ones are too little, but soon enough. One of the stops upstairs is a simulation of the invention of Vernors, a Detroit-based ginger ale brand created in 1866 by the pharmacist James Vernor. The kids get to put ingredients together and submit their bubbly invention to a digital Mr. Vernor for tase testing. He either likes it or he doesn’t, and then he gives a critique…too bitter, not bubbly enough, etc. Our 9-year-old acted as advisor to his 5-year-old sister for her turn. The concoction she made ended up being too bitter. She was furious! We spend so much time wanting them to get things “right.” We hope for it, we wish for it, sometimes we even make it happen by manipulating situations that are beyond their ability to navigate. Once again I have a kid to thank for reminding me of the backward nature of some of the adult-ish stuff we do! Parents and educators, let’s let them fail. Let’s embrace it. Let’s let them fight through frustration and into learning and growth. Let’s let it be a paradigm we live in during all the moments we’re gifted as the stewards of their development, from their youngest days on into their adult lives. If we’re going to manufacture moment, let’s consider manufacturing moments for mistake making. They’ve got to get to know how it feels on both ends and all the way through the making of mistakes, the processing of frustrations, the pulling oneself up by bootstraps, and the learning toward “back to the old drawing board” grit, determination, faith, hope, and persistence. Big brothers. Great parenting resources! Thanks, Bud! In it together for the kids. Live. Love. Listen. Learn. Lead. We all get scared, even (and probably especially) those among us who claim not to. If you don’t know what it feels like to have a loving arm around your shoulder when you’re walking through a dark place you’re missing out. It feels good. Compassionate, non-judgmental support is a cornerstone of organizational well-being, regardless of the organization. 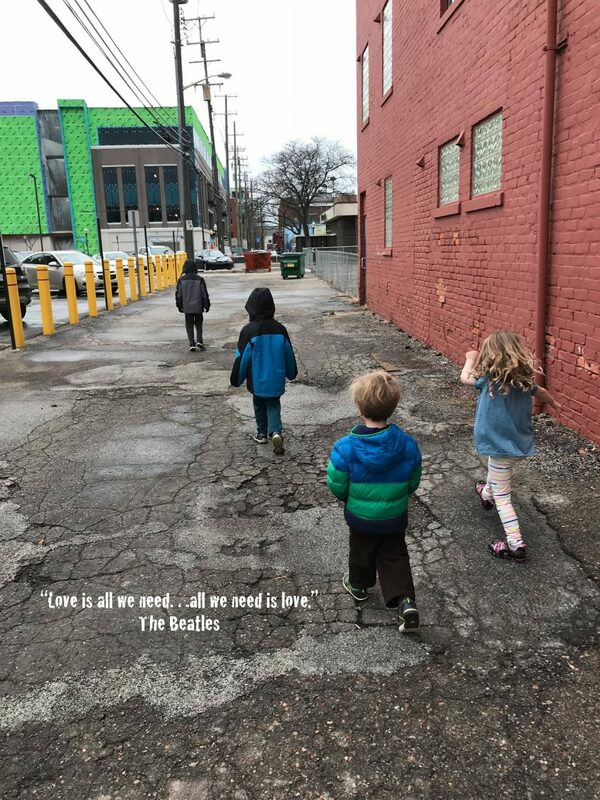 Be it a city, a school, a widget factory, or a family…kind, loving, and connected is the way to build cultures in which we’re not only prepared to help one another but also to communicate openly about our need for help. It’s a need we all have from time to time and one that’s sometimes naively suppressed in favor of the illusion of supreme competence (something none of us actually possess). Also, support begets support. In one moment you’re the loving arm and in another you’re the shoulder. Life is best when we’re enthusiastic about being both. It helps us better understand each paradigm, and in doing so it helps us better understand one another. We’re a bunch of complex organisms. It’s as simple as that (so to speak). Covey reminds us that “the main thing is to keep the main thing the main thing.” It doesn’t take much searching to understand that the main thing is people. The main thing is you and me and those we serve. It’s each other. The main thing is us. Summer is a great time for educators and parents to build our “sharing about fears” and “being open to support” muscles. It’s a great time because we’re generally in relatively safe spaces. Generally, family and friends are the ones to catch us when we fall and to walk through the dark places hand in hand with us. Some aren’t, and we likely know who those some are (if we have some like that in our lives). However, even those some can surprise us when push comes to shove. Regardless, a worse case scenario of putting yourself “out there” in this way is disappointment and rejection, which as we all know are both wonderful catalyst for enhanced wisdom and strength. A positive outcome through hard times remains a positive outcome. Hope and optimism in mind, educators and parents might consider using this summer as an opportunity to be vulnerable by sharing our fears when they arise and accepting support when it’s available. 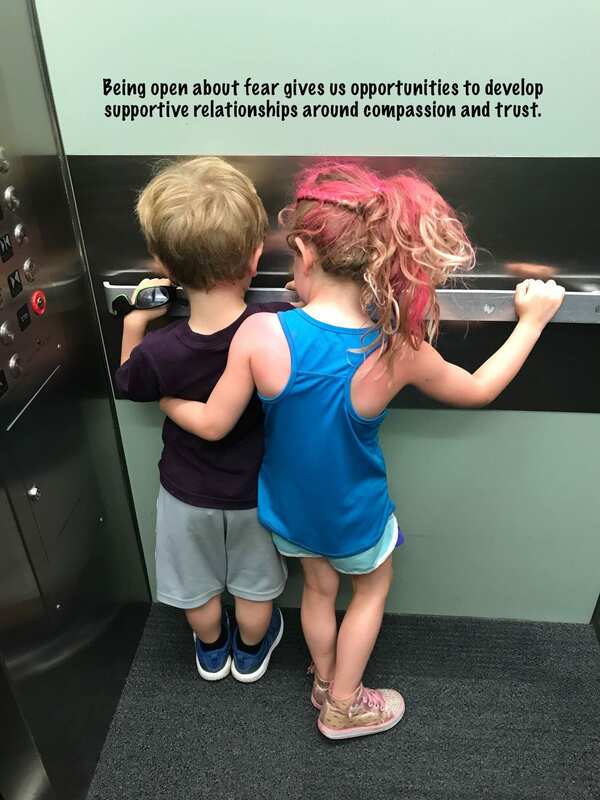 Through this practice we can strengthen our “genuine partnership” muscles for when we return to school and enlist them for the critical challenge of seeking to love, understand and engage each child and one another in the light of our magnificent and sometimes demanding individual uniquenesses. Just imagine how strong we’ll be if we practice with conviction. Just imagine what an impact we’ll make if we dust ourselves off each time we stumble in our effort to grow into the most revealed, self-aware, and sympathetic selves we can be. We’ll practically be super heroes! You get what you give. I say give as much as you can until you can give it all, and then do that. My son stepped onto an elevator the other day with unsteady legs, watery eyes and a quivering lip. He told us without hesitation that he was scared. My daughter wrapped her arm around him and said, “don’t worry…I got ya buddy.” Without hesitation too. When I was a kid I watched a cartoon called “Wonder Twins.” The “Wonder Twins” were extraterrestrial superhero siblings; brother and sister. Their super power was an ability to transform themselves in ways that allowed them to achieve amazing and otherwise extremely improbable things. They could also communicate telepathically with one another and they had a pet space monkey named Glick. Then there was an animated explosion of color between them and they would each enthusiastically describe their intended transformation. After which they would proceed to subdue villains and save the day. Nothing short of amazing! Lucy must have been thinking the same thing, because only moments later she was doing exactly that for a group of wide-eyed, energized educators from all around the world who were hanging on her every word! I was one of them. Nothing short of amazing! 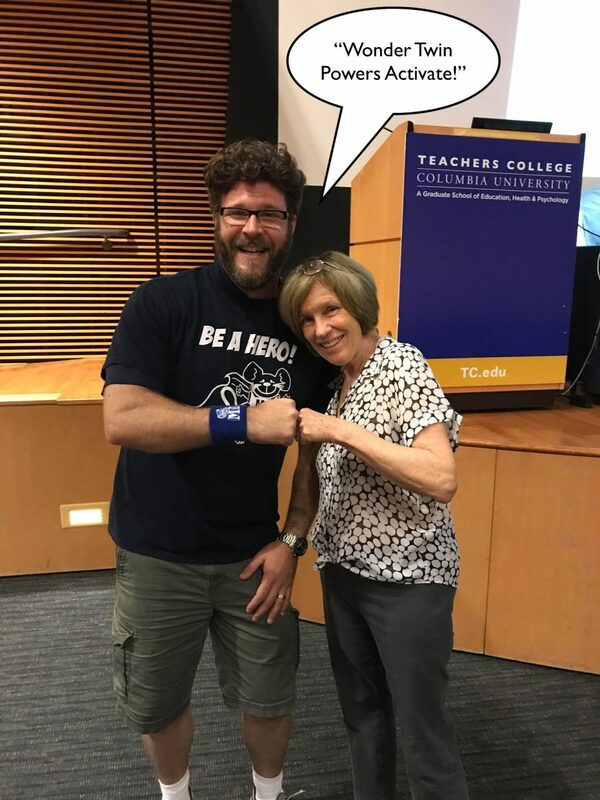 Now, I’ve had no success at my attempts to communicate with Lucy telepathically and I saw no signs of a space monkey during the TCRWP institute last week, but we have the fist bump…and that’s something! Maybe I transformed too. It feels like I did. I’m certainly inspired! Also, I feel like it’s doable. I’m not a giant ice monster or a five hundred pound gorilla, but I am something at least slightly different than I was before. Lucy told me to go back home as “the consummate learner.” Maybe that’s just what she turned me into. To be clear, I can’t remember a time when learning wasn’t a priority, but I am energized in a new way having spent the week at Columbia. I’m infused with tools and tips from the TCRWP team and I’m aching to take the learning and use it to share in even more learning with the team I serve back home. I’m super excited to dig deeper into the power of Writers Workshop with my district and school community partners! I’m eager to read and to hear what words flow from our students’ minds as they learn to share their truths with even more purity, style, and skill! I’m grateful. I’m ready. Did I mention super excited? It makes sense. After all, what does “the consummate learner” do if not wonder? I can’t say for sure that Lucy considers herself my “Wonder Twin,” but having listen to and learned from her last week I believe she’d appreciate the literary reference, the playfulness, and the fun of it. The truth is that we should all be “Wonder Twins.” If nothing else, Lucy reminded us that this journey is about a process and not a product. She reminded us that it’s about “wonder” in its varied forms; the “wonder” that comes in question form and the wonder that comes in awe form. She told us we must listen really closely to our kids and be courageous in response, and that we have to create classroom and school communities in which our kids can do the same. She showed us that kids are capable of amazing expressions of truth, power, pain, and joy, and that we are capable of guiding and coaching them into the capacity to deliver those amazing expressions to the their peers, to the communities in which they live, and to the world. She inspired us into believing, and in doing so she expanded our potential infinitely. They’re not my original thoughts and ideas, but rather a frenetic attempt at capturing as much of what Lucy Calkins and her amazing team shared with us during the week. I plan to use them in conjunction with multiple other tools to share in ongoing collaborative thinking and learning with the team I serve in the upcoming school year. I also plan to share details of that learning journey here and through various other media including Twitter. Please feel free to use them as well if you’d like (and if you can read them). If you do, please feel free to reach out with feedback and for collaboration along the way. Actually, whether or not you do, please feel free to reach out with input and for collaboration along the way! In it together for the kids! Once, when I was upset, a calm, thoughtful person suggested that I imagine a pond. I didn’t want to imagine a pond. I wanted to push. I wanted to huff and puff. I wanted to whine and complain. I wanted to kick and shout. I was upset. I was having trouble seeing past the upset. Imagine that you’re sitting near the pond, possibly on a log or a bench. Maybe with your legs folded on a bed of soft grass. Imagine that you’re looking across the pond from above. Imagine the specks of light from a soft morning sun that are dancing playfully on its surface. Imagine shifting a bit. Imagine leaning over and looking down from above. Imagine that the surface of the pond is flawlessly still and that the crystal clear gaps between the dancing, playful specks of soft morning sunlight reveal a world of light and life when your eyes adjust away from the reflection of tree branches and cotton clouds above. Imagine a few carp gliding along in synchronicity. Imagine some slender, swaying, leafy plants. 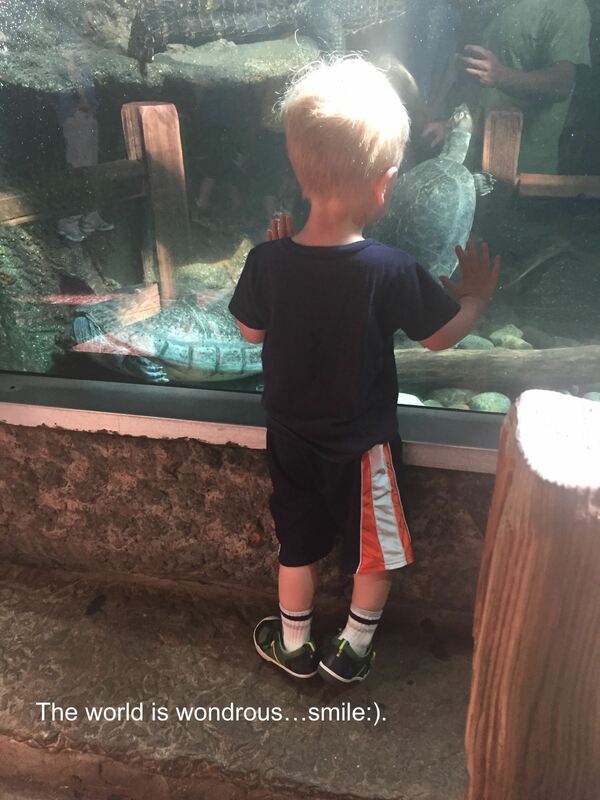 Imagine a wise old turtle making his way across the sandy bottom. Imagine rocks, smooth and jagged, dark and light, big and small. Imagine a leaf, slowly descending, waterlogged and sinking past the calm action beneath. Let you mind’s eye follow its gentle path. Now, imagine a raindrop. Imagine a single raindrop breaking the glassy surface of your pond. One at first followed by more. Imagine the equal and opposite, perfectly symmetrical bowl of a fracture in your calm surface that each drop perpetuates. Imagine the rimmed spray that defines each fractured center and shape. Imagine the impact of each drop and how it alters the surface of the pond, the world beneath, and state of your mind. Imagine that the soft drops become a spattering. Imagine that the sky goes dark. Imagine that the spattering becomes a shower and that the shower becomes a storm. Imagine that you can no longer see beneath. Imaging that the surface of your pond is no longer translucent but wild, dark, disturbed, harsh and opaque. Imagine that the world beneath is no longer available to you. Imagine that you’ve forgotten all about the synchronicity of the carp, the wisdom of the turtle, the complexity and beauty of the rocks, and the soft, organically purposeful pathway of the descending leaf. Imagine that you are now only encased in the wild pounding of the dark cold rain, and watching it also pound on the now rough surface of your once calm pond. Now, do you remember wishing for telekinetic powers as a child? Did you ever sit at a table, staring at a pencil or a playing card, waiting for in to move in response to the incredible powers of your mind? Do you remember believing that it would? Good news. You have such powers. When our minds are cloudy, when we’re inside the storm that come with stress, anxiety, anger, and fear, when we can’t see past the hard, cold, pounding rain and dark clouds, we tend to want to push. We tend to need to. We tend to push with, and even against our own will. We tend to push at others. We tend to communicate less effectively than we otherwise would. We tend to push our priorities and our best selves aside. We tend to see increasingly less clearly with each push. We tend to need to actively release the negative. Ironically, we tend to exacerbate it with our efforts, and we tend to diminish relations with others and with ourselves in the process. We need to push and we should. A calm, thoughtful person, by way of suggesting that I imagine a pond, guided me to thinking about the good push and away from the bad, harmful, counterproductive pushing of a clouded mind. Here you sit, in your imagined storm, over your disrupted pond, under your dark, invented, limiting sky. It’s time for the good push. It’s time to enlist the telekinetic powers you’ve always known you have. It’s time to build the muscle that harnesses your strength and taps your courage and enlists your calm and expands your vision and steadies you mind. Imagine that the pure power of your will slowly wipes the dark away from the sky. Imagine that the cotton clouds move in as the dark sky moves out, and that the soft morning sun peeks through once again and scattered, glistening rays along with it. Imagine the storm slows to a shower, and that the shower slows to sprinkle, and that the sprinkle slows to a misty dew floating above the now calm-again surface of your pond, before it lifts in smooth synchronicity into the sky and dissolves before your eyes. Take in the feel and the smell of an imagined world renewed, refreshed, and calm. Imagine bending your head and reconnecting with the surface and the specks of light from a soft morning sun that were once and are now once again dancing playfully upon it. Imagine shifting again. Imagine leaning over once more and looking down from above. Imagine, like you did before, that the surface of the pond is flawlessly still and that the crystal clear gaps between the dancing, playful specks of soft morning sunlight reveal the same world of light and life when your eyes again adjust away from the reflection of tree branches and cotton clouds above as it previously had. Imagine the carp gliding along in synchronicity. Imagine the slender, swaying, leafy plants. Imagine the wise old turtle making his was across the sandy bottom. Imagine the rocks, smooth and jagged, dark and light, big and small. Imagine the leaf, still slowly descending, waterlogged and sinking past the calm action beneath. Once again, let you mind’s eye follow its gentle path. We tend to hold true a misnomer that in order to be productive we must think of the myriad things on our proverbial plates, to organize and attend to them, to focus hard on the clutter rather than the calm. A calm mind is not an inactive mind. A calm mind is simply one that can see and be seen clearly. A mind is like a pond in that there is world of light and life inside of it that is difficult to engage with during the storm. It’s not enough to wait for the calm. It’s not enough know that the storm will eventually pass. We still need to push; it’s a part of who we are. If we simply wait, we tend to push in wounding ways. Hurt people hurt people, right? We must embrace the storms as they hit. However, we must enlist the good push, even by manufacturing the need and applying it repeatedly. We each have the power. We must practice. We must forgive ourselves when we fail, which we will, and we must press on with the notion that a foundation of optimism, a commitment to positive tones in thought, voice, and action, and a dedication to calm minds can enhance this world for us, for those we serve, and for those we serve with. 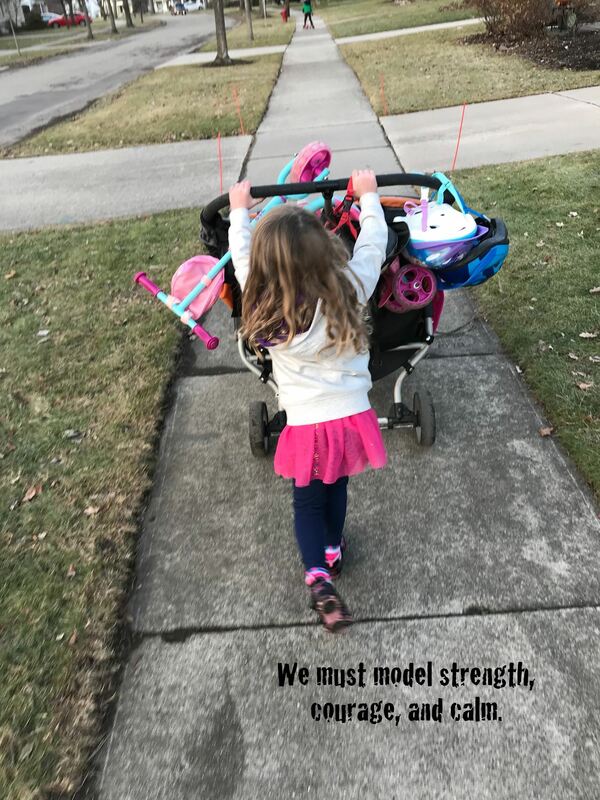 Parents and educators, we must model strength, courage, and calm in this way for our children. In short, I urge you to take a moment when you can (even if you think you can’t), and imagine a pond. We were in the car the other night on the way home from a dinner out. We brought two cars because I came straight from work. The big three decided to ride home with mommy. I was with the little guy (who’s actually not so little – our three-year-old outweighs his four-year-old sister by a few more than a couple pounds at this point). “On a height?” I clarified. I assured him that we were not on a height and that I would let him know if we happened upon one. He thanked me. I peeked in the rear view mirror, suggesting, “Go on, “ to which he enlightened me (as kids so frequently do). Love’s the thing we can use when we’re afraid. We can use it when we’re sad, when we’re frustrated, when we’re angry, when we’re confused, when we’re down on ourselves, when we feel hurt by others, when we’re not sure where to go next, when we slip and fall off course, and any time we need a boost or a reminder that things are going to be alright. For us parents and educators we’re headed into the tail end of the school year. There’s so much to do and so much to think about right now. If you’re feeling like me you’re not sure how it’s going to get done. You’re not sure that it is. The challenging news is that it’s not. It never does. The exciting news is that you’re going to prioritize and make sure the stuff that needs doing does get done. You always do. Three-year-old wisdom reminded me that I can trust love to help me navigate the challenges and the triumphs of the next couple of months. If you’re interested, take a moment to make a shortlist of what love does for you. Love reminds me that I’m connected to those around me. Love helps others know that I care about them and that they care about me. Love puts things in perspective. Love frames even the most challenging challenges in bright, colorful ways. Love makes it ok to be wrong and to genuinely listen for rightness from others. Love reminds me that there are perspectives outside of my own, and that even when I struggle to understand them they’re real and critically important. Love smashes stubborn pride and supplants it with healing humility. Love makes me know that anything is possible. Love shows me that light shines even in the darkest corners. Love simply feel good, and if the past forty-forty years is a sampling of how fast this life moves, I’d like to feel good as much as possible. There’s my one-minute shortlist on what love does for me. Writing it was a worthwhile exercise. I recommend it. Parents and educators, when you’re feeling like it can all get done, when you’re worried about how the next moment, the next day, the next week, or the next month can possibly unfold in right ways, when there’s too much to do and not nearly enough time, when you’re worried, flustered, and super-stressed, try to remember about love. If you can do nothing else in any given moment, try to shower yourself and those around you with love. You might not be able to teach them everything you wanted to, you might not be able to see each of them mastering every standard by June 15th, you might not have unfolded every plan or fulfilled your vision of how this school year would unfold, you might be light years off, but you do have the power to shower those kids with love. Start with yourself, be ok with it being ok, and then no matter where you are along the journey, no matter what you’ve accomplished or not, you can make love the priority from this point forward. We all need it. We need it from ourselves and from each other. Easier said than done? Maybe. I happen to believe that the great majority of us are well meaning. I’ve been thinking a lot about communication lately. I’ve been thinking about how during busy, challenging times communication is difficult. It’s hard to get effective messaging across when were moving really fast and there’s a lot at stake. Educators and parents are moving really fast much of the time, and there’s always a lot at stake because it’s our job to care for kids. Whether we’re communicating with one another or with the kids we serve, whether we’re writing or speaking, we really do need to be careful to communicate in positive, optimistic, encouraging, hopeful, and compassionate ways. Possibly even more importantly, when we don’t (which happens), I think we need to forgive. I think we need to forgive one another and I think we need to forgive ourselves. Do you know someone whose aim isn’t true? If so, how do you know it’s not? Does that person communicate in unkind, sharp, curt, and/or suggestive ways? Is that how you know his/her aim isn’t true? It’s not easy to receive unkind, sharp, curt, and/or suggestive communication. It’s not easy once, and it’s certainly not easy regularly. Maybe you know someone who communicates in ways that frustrate you all the time. Maybe you know multiple people who do. Maybe you think those people’s aim is not true. However, what if it’s that those people are simply moving to fast with too much at stake? What if they’re overwhelmed? What if they simply don’t know, or don’t know how to operationalize tools and strategies for communicating through overwhelming times? What it their aim is actually true but they don’t know how to demonstrate that? What if their unkind, sharp, curt, and/or suggestive communication is a shroud, masking a true aim and thereby diminishing positive, collaborative energy? What if you could get to a collaborative core through assumptions and forgiveness? What if it wasn’t easy, but still possible? Would you try? Would you keep trying? I think it might be a good idea to assume good intentions in this type of situation, and then to forgive, and if the person communicating in deteriorative ways is you, you can remember good intentions instead of assuming them, and then you can still forgive. Not easy, strangely complex, but maybe a something to consider. When we give we gain, immeasurably some might say. When we’re frustrated with ourselves or with others it’s difficult to genuinely give. It’s difficult to give chances, to give input, to give kindness and caring, to give love. Ironically, all of those things and so much more that we can give when were focused on positive pathways and assuming best intentions are just the things that relationships need to thrive, especially in times when it’s most difficult to communicate effectively, in positive ways, and with hope and optimism. As we navigate the challenging waters of parenting and education with hope in our hearts and true aims, we might consider enlisting forgiving for giving. We might think about forgiving one another and ourselves around every turn so that we can give to one another in ways that promote positive progress and address the many complex needs of those we all see as the foundation of that potential progress, the kids we serve. Forgiving for giving, just a thought. Live. Love. Listen. Learn. Lead. Thanks! When I came home the other day little miss was waiting by the door (the four-year-old). There she was as I walked in, ready to pounce. Incidentally, knowing that a munchkin or two could be ready to pounce as I walk through the door is one of the great joys of my life. This time it was her, and she’s determined (get’s it from her mom). It’s likely that she’d been waiting there for some time. When she sets her mind to a thing she usually sees that thing through to its end. The thing her mind was set to that day was that I smell her feet. I managed to find and turn the key in spite of the random many accouterments I was carrying that day (educators carry a random many accouterments to and from work each day; I’m not sure why). As the door cracked I heard a small but powerful voice command, “Dadda, smell my feet!” It was hers. She sat on the third step up with both bare feet lifted in the air. She presented them for the smelling. I acquiesced. They smelled nice. She went on to explain that she and mommy had rubbed lotion on them, and that she just “couldn’t wait” for me to get home and share in the aromatic podiatric situation they created in doing so. I smiled and smelled them again. I may have even tickled them a bit at that point. Little feet are fun to tickle. Generally, it’s not a command met with eager anticipation and joy. It can be, however, when it comes from a person you care deeply about. Here I would go further and suggest that feet are generally recognized as “bad” smelling appendages, and that the act of smelling them is universally accepted as unpleasant. However, I would further suggest that genuine caring has the power to see people through situations that might otherwise be universally accepted as unpleasant to outcomes that enhance positive pathways for all involved. Where am I going with this? I’m not suggesting we smell one another’s feet. In fact, I would expressly advise against it. What I am suggesting is that caring is powerful, and that organizations within which people feel as though, and dare I say, know that they’re cared about are healthier for it. I’m suggesting that those types of organizations are healthier for it (a foundation and widespread understanding of genuine caring) because challenges that might otherwise be universally accepted as unpleasant are sometimes seen as short-term, limited in scope, and solvable between and among people who genuinely care about one another. In other words, an optimistic outlook is easier to adopt and maintain, and pathways to positive progress through collaboration based on shared core values are easier to pave and tread when people care; not necessarily about the outlook or even the pathways, but again, about one another. Parents and educators are well positioned to lead the way in this regard. Dr. Ron Ritchhart reminds us that the expectations we set, the language we use, the modeling we do, the interactions we have, the opportunities we provide, the physical environment we build, the routines we employ, and the time we take to foster healthy relationships based on shared thinking are all particularly powerful. I say we focus on being careful to adorn our relationships and organizations with caring, inside and out. I say we take care to intentionally drive relational and organizational paradigms that are care-full in honest and genuine ways. I say that when we do we benefit. I say that when we do kids benefit, and ain’t that what we’re in it for after all? No feet smelling at work. I insist. Rather, let’s be sure to always keep our aim true by reminding ourselves that ours is a caring path and that consequently we are caring people; genuinely caring people. Let’s use that reminder to face the robust challenges and celebrate the remarkable triumphs together with open resolve around leadership that is full of caring. Genuine caring. I was working with the “little ones.” That’s what Lorelei and I call our four and our three-year-olds. For some reason we have our kids categorized into two sets. The “big ones” and the “little ones.” Oddly, the “big ones” aren’t actually that big and the “little ones” aren’t actually that little anymore. In our house, “I am leading the way,” is a decree that speaks to line positions along any particular path. Going to the dinner table, heading into the basement playroom, caravanning upstairs to take baths and brush teeth, every destination has someone “leading the way” in the Berg house. This time, our four-year-old daughter and I were relegated to the back of the three-person line to stutter-step it through the hallway and down the stairs (you can guess who was at the stern). It was cute. Big sisters rock! This one in particular. Moreover, it was a great example of Self Determination in play. To be fair, nowadays my nose is so frequently buried in literature about or related to Self Determination Theory that connections between it and my learning and leadership journey are never far out of hand. When I think of parenting and/or education the tenets of Self Determination Theory typically set the backdrop. Specifically, I consistently wonder how I’m doing at promoting an autonomy-supportive culture within which those I serve are confident in their strengths, excited to growth through challenges with optimism, and feeling connected to me and one another as positive partners in progress, be they adults or kids. 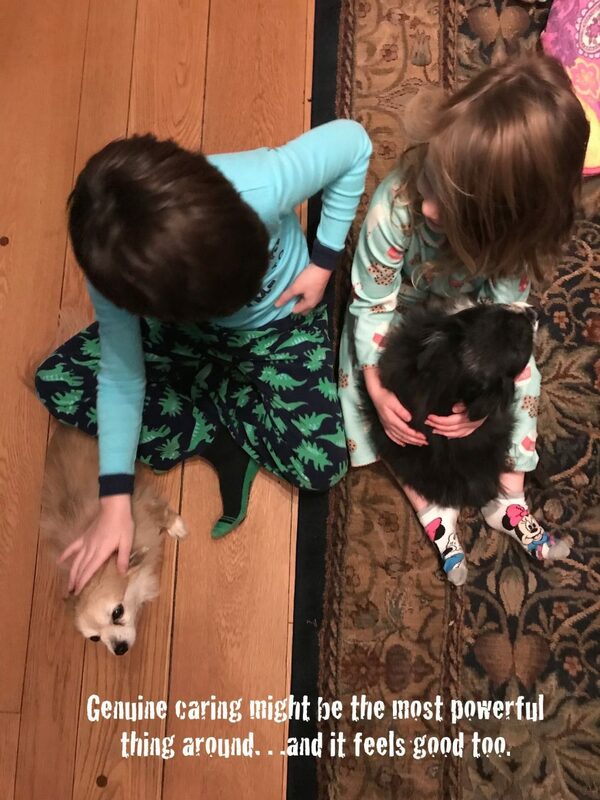 When our youngest repeatedly declared himself the leader of the way, autonomy, competence, and relatedness rang in my mind. He seemed to feel equal to the task, he demonstrated comfort in naming himself to the post, and the partnerships he had build over the three years of life with me and with his sister allowed for some flexibility regarding who would take the lead on this leg of the journey. Incidentally, I rarely get to lead the way at home, but I digress. Dr. King was a young man when he began his leadership journey. Unfortunately, he was young man when he ended it as well. As parents and educators, we can extrapolate a bit as we reflect on his famous quote, and I’d guess that Dr. King would be ok with it. We can honor Dr. King along with one another and all those we serve by not judging people by the color of their skin, and if we’d like, we can further honor Dr. King along with one another and all those we serve by also not judging people by the number of years they’ve been alive, whether that number is three, thirteen, thirty-seven, or eighty-four. In particular, let’s honor Dr. King and one another by seeking out and supporting opportunities for the youngest among us to lead the way. 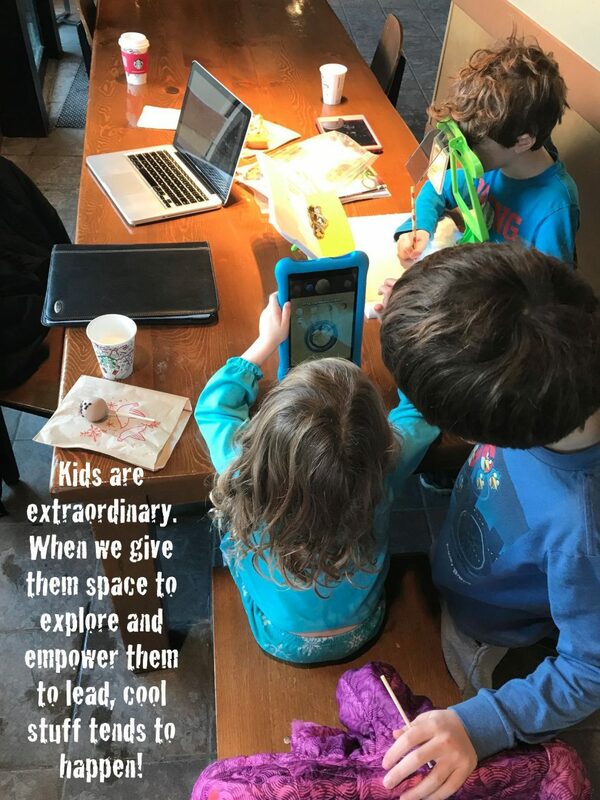 Every time I do it seems to result in bountiful treasures of connected, meaningful, empowering and joyful learning and growth for all involved. If we are truly going to judge people by the content of their character, let’s eliminate as many other factors as possible. At the very least, let’s try, and let’s continue to try indefinitely, facing each connected challenge with courage and resolve as modeled by Dr. King himself and celebrating each connected triumph with the brand of passion Dr. King projected in the very words he spoke. It’s nice to rest. What a wonderful treat that we had a few days to remove ourselves over and rejuvenate over the Thanksgiving holiday and in the midst of another incredibly busy school year. Our breaks seem to come just at the right times, don’t they? Just as we gave our last ounces of energy, just as we pushed ourselves to the limit, just as we put our heads together one more time for parent-teacher conferences, just as we needed it we were given some time to reflect. Appropriately, that time was also centered squarely on a foundation of gratitude. I’m certainly grateful for it! While our field is as challenging as any, the built-in opportunities for reflection are not only healing, they’re also reminders that reflective practice is critical to learning and growth. I’m grateful that this structure, embedded in the public education paradigm, reminds us regularly that even when we’re not officially on break we should take time to slow down and process when we can; a few deep breadths, an intentional walk, some journal writing, or a candid conversation with a trusted partner. Partnerships are among the important targets of my gratitude. There’s arguably nothing more impactful on student well-being and achievement (not to mention our own personal and professional learning and growth) than the positive partnerships we form with one another. Partnerships are so incredibly powerful in the formative development of every child we serve together, and each partnership is just similar enough and just different enough to rest on some standard foundations and also to require some special care. We must nurture each one with focused intention and individually. There is an art involved in fostering and maintaining positive partnerships that drive progress on behalf of kids. Like all art forms, the art of the positive partnership is one mastered over time with great care and detailed attention. As parents and educators we must invest that time, take that care, and give that attention in and around every turn, even and especially when the turns are sharp and swift (which they often are). When we begin with students in mind and keep balance with an edge of optimism, knowing and regularly reminding one another that all of the challenges we face are short-term, limited in scope, and solvable, we are well on our way to maximizing our ability to artfully foster and maintain partnerships with one another and with kids; partnerships that propel us toward the limitless and fantastic possibilities we know are within our reach. Now that we’re back from one break and headed into another, what will you do to stay strong in your reflective practice? What will you do to extend the benefits of collaboration within positive partnerships? How will you maintain and build upon the optimism that our kids so deeply need to drive the hope and the inspiration they so fully deserve? As parents and educators we have such great fullness to be grateful for. What are you doing to take it all in and amplify its benefit on behalf of the kids you serve? Walking in the hallway yesterday I found myself in lock step with a kindergartener. Actually, my pace was moderately accelerated. There was a lot going on in the moment. I was in a hurry. The kid was probably taking three or four steps to my one, and steadfastly determined to keep pace. To her credit, she made it work. Think about a cartoon kid, Charlie Brown maybe, drawn with legs and feet in a blur to emphasize intense speed. Passers by might have found it comical. This kid could not have been more serious about it. Interestingly, I have an affinity for turquoise too. Coincidence? I don’t know. Regardless, eventually we had to part ways. She had to turn into her classroom and I had to go do whatever very important things I was racing to do. It may have even been very, very important…I don’t recall. I told the kid how fun it was walking and talking with her, and that I enjoyed hearing about the wonderful information she offered. I remarked on how thoughtful and interesting her questions were. I smiled as she bounced into her classroom. I couldn’t help it. It is truly a joyful reality for us parents and educators that our kids are here every day, and with that in mind, maybe we should be too. I understand that we can’t always be present. In order to keep the train rolling we have to take meetings, make phone calls, read books and articles, brainstorm with colleagues, spend time alone in quiet reflection, and so on. However, I also know that there are many ways to maintain a presence of heart and mind when we do have the good fortune of being together with the kids we serve. We must consider these ways, even and especially when we’re in a hurry. When there are big, important things to do we must breath and remember our purpose. When any kid is talking to us we must remember that our core interest is that kid’s, and every kids’ well-being, and that being well for kids includes being attentively listened to by adults with genuine interest in mind. Parents and educators have superpowers. We can shoot ray beams out of our eyes that show kids we care. Conversely, if we’re distracted we can shoot ray beams out of our eyes that show them we don’t. 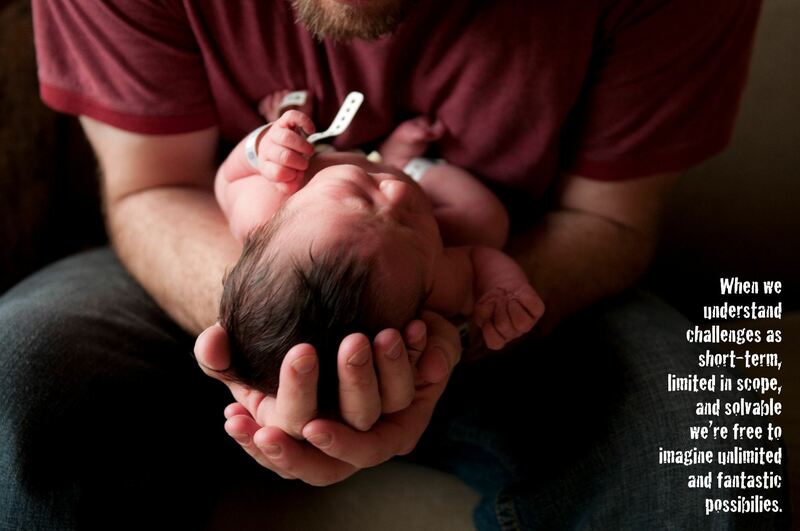 Demonstrating your underlying and genuine care to a child can be as simple and easy as sharing a smile. When you’re racing down the hallway on your way to some very important things, an honest smile can establish that the real “very important thing” is right in front of you, and that same smile can prompt a reciprocal smile, thereby filling an entire space with loveliness. Parents and educators are busy people. It’s real and it’s true. In that light, I contend that it might be worthwhile to consider routine, everyday lovely-looking, every day, by way of smiling at every turn. My experience, while arguably limited and spindly on a grand scale, tells me that just that simple act could keep us increasingly and consistently present of mind and heart, and thereby enhance the experience of the kids we serve. Let’s be intentional about our superpowers. Let’s smile more, and if you already do…lovely!